For those reading, who may not know who you are or listened to your music, give us a brief insight? Tsu Surf: Reality. I try to make sure that I speak on what I know. I try and give the fans the story through my eyes. Its like every rapper can talk about the glitz and glamour, but nobody talks about what they did to get there, or been through. Summed up in one word. REALITY. You were recently cosigned by Joe Budden and featured on the “A Loose Quarter” mixtape. How did that come about? Tsu Surf: I always laugh at that question. I can’t really tell [Laughs]. Joe’s like big bro, and after living with him and touring with him, you learn fast….. Joe’s weird [Laughs]. You never really know how his brain tic’s. He’s a thinker. I can’t put my finger on why or when he noticed. But one day I got a DM [Direct Message on Twitter] saying, “what is your number”. It’s history from there. Had a meeting, next day recorded “Through My Eyes”. Do you think being from the same city played a part in the acknowledgement from Joe? Tsu Surf: Well, Joe and I aren’t from the same city. I’m from Newark, New Jersey. Budden is from Jersey City, New Jersey. Not too far apart though. Us being from the same state had to take some credit in that. But even if so, there are a million rappers in New Jersey. I guess I was making enough noise to get noticed. Although, I admit I haven’t watched any of your battles, it seems to be the general belief you were very talented at battling. Why did you decide to turn your attention to actually making more formal music? Tsu Surf: Well, I can’t really say I “turned” my attention, because it was never off making music. I was just worldwide known for battling so I can’t blame most of the general population for knowing me as that. Battle rap is such a huge stage, it just helped me spring board to where I need to be as a artist. So now a days I bump into people that know me for strictly music like yourself, and never heard a battle. Then I could bump into a battle fan, that strictly loves the battling Surf and only heard a song or two. Your recent mixtape is entitled “A New Mood”, what influenced the name? It wouldn’t be an awful assumption that the affiliation with Mood Music Entertainment was a factor? Tsu Surf: Definitely not a awful assumption [Laughs]. Mood Muzik is the homies, more so family. Shout-out to Trev Rich, Budden and Emmany. It was more like a homage thing, and just letting the world and jersey know. Its a New Mood. I’m here!. So… literally. its a New Mood, and in a sense its me telling Yoda(Joe), I got this! The opening track on “A New Mood” featured the title “Dreams Money Can Buy 2” most likely a reference to the original by Drake. Was it a conscious decision to draw comparisons between you and Drizzy? Tsu Surf: Very Conscious [Laughs], I already made a DREAMS MONEY CAN BUY 1, I guess a remix to Drakes original on “Surfs up 1.5”, my previous mixtape, which you can also find on Datpiff. So we just made a twist on the beat and made a part 2. You had quite a few features on the tape ranging from Joe, Ab-Soul and Trev Rich to Lu Jerz and Gabrielle Findley. For the next tape if you could collaborate with any artist in the world, who would it be and why? Tsu Surf: Yeah i was shocked how the tape turned out a little [Laughs]. But maybe The Weeknd, I am a fan, that kid is dope. I’ve been talking to Wale, if we could get him on that “Red dresses 2” that’ll be so clutch. Uhm, Kiss. Def Jadakiss, that is one of my idols. And of course Mood Muzik!. One thing lacking from your mixtape was a distinguishable “Club-Hop” track. Is it something you have no interest in creating or was it just not suitable for this tape? Tsu Surf: I’d say more not suitable for the tape. I practically can create anything. I just wasn’t really in that mind state for this one. Very few conscious Hip Hop artists manage to reach a high level of success, why do you think that is? Do you see it changing any time soon? Tsu Surf: Do I see it changing? Yes. Hip Hop is getting back to the lyrical beginnings. With your Kendrick Lamar’s, Joey Bada$$’s, Ab-Souls, Your J.Cole’s. The fans are listening way more, and I think that snap-pop rap or whatever you call it might be on its way out [Laughs]. Now why we dont get the recognition…. [Laughs] I’m just the artist! Beats me! 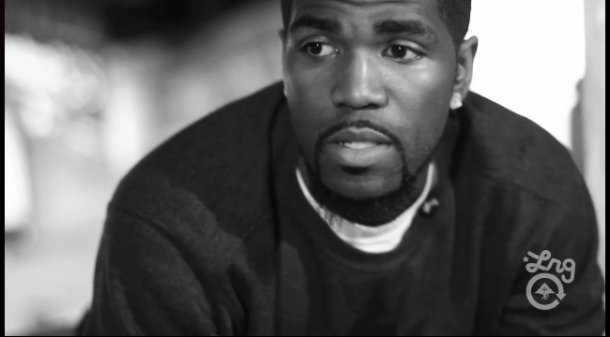 Tsu Surf: @Tsu_surf ….. Jersey!!! So Surf believes Hip Hop is getting back to lyrical beginnings, dreams of collaborating with Jadakiss and gave me a geography lesson, but what do you think? Drop your comments below. Make sure you download “A New Mood” (Click Here), and read the review I wrote (Click Here).